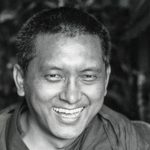 Lama Zopa Rinpoche was born in Thangme Nepal, in 1945. At the age of three he was recognized as the reincarnation of Sherpa Nyingma yogi, Kunsang Yeshe, the Lawudo Lama. Rinpoche’s Thami home was not far from the Lawudo cave, in the Mount Everest region of Nepal, where his predecessor meditated for the last twenty years of his life. Rinpoche’s own description of his early years may be found in his book, The Door to Satisfaction (Wisdom Publications). 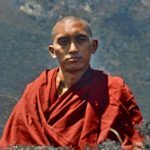 At the age of ten, Rinpoche went to Tibet and studied and meditated at Domo Geshe Rinpoche’s monastery near Pagri, until the Chinese occupation of Tibet in 1959 forced him to forsake Tibet for the safety of Bhutan. To continue reading more about Lama Zopa Rinpoche's life visit here. 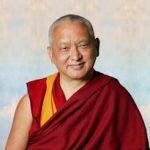 Thousands of pages of Rinpoche's teachings have been made available as transcripts, books and audio by the Lama Yeshe Wisdom Archive, and most are freely available on the Archive website. 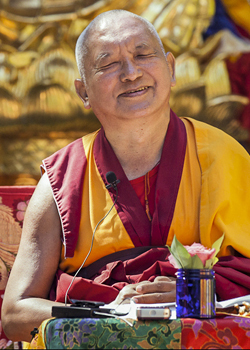 Rinpoche’s other published teachings include Wisdom Energy (with Lama Yeshe), Transforming Problems into Happiness, Dear Lama Zopa and others available from Wisdom Publications, and many prayer and practice booklets available from the FPMT Foundation Store.